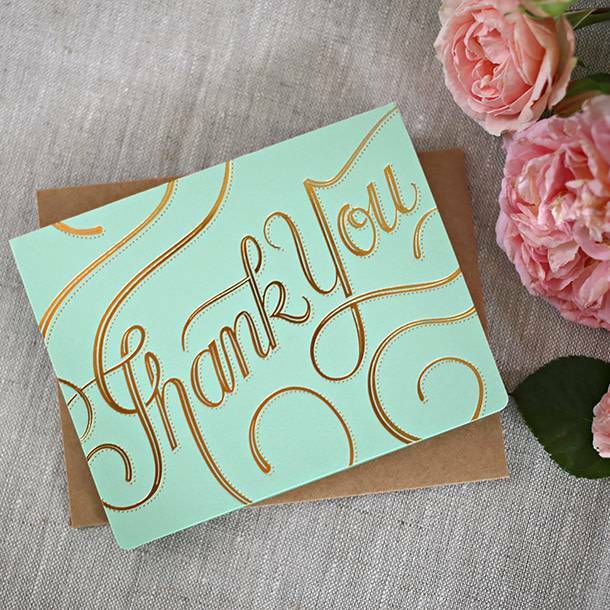 New to Bespoke Letterpress is the premium range of beautifully illustrated and hand lettered hot foil printed greeting cards. 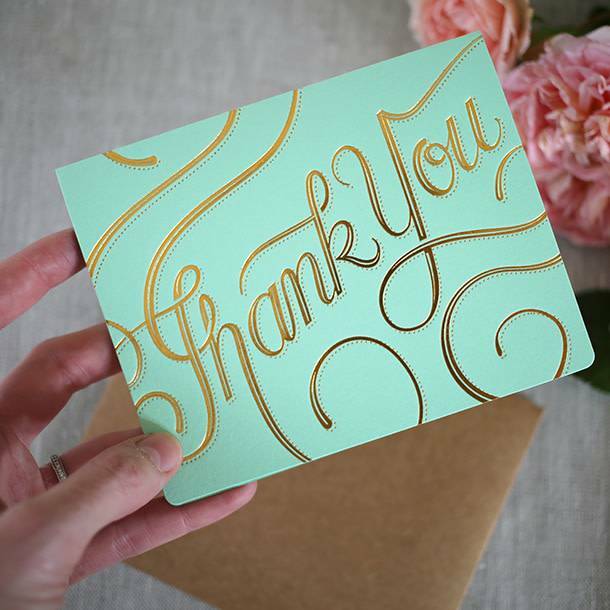 This design "Thank you" has been printed in gorgeous Gold hot foil on Turquoise environmentally friendly stock and includes a kraft envelope. Artwork is by Nicholas Fredrickson (USA). Hand printed on Helga one of the antique letterpress printing presses. 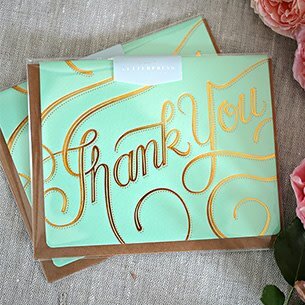 Each card measures 108x135mm in size (when folded).